S. Longwood Dr. & 98th St. The Longwood Drive Historic District extends twelve blocks from 9800 to 11000 S. Longwood Dr. and from 10400 to 10700 S. Seeley Ave. Unique in the city for its hilly topography; Longwood Drive is dominated by a natural ridgeline. 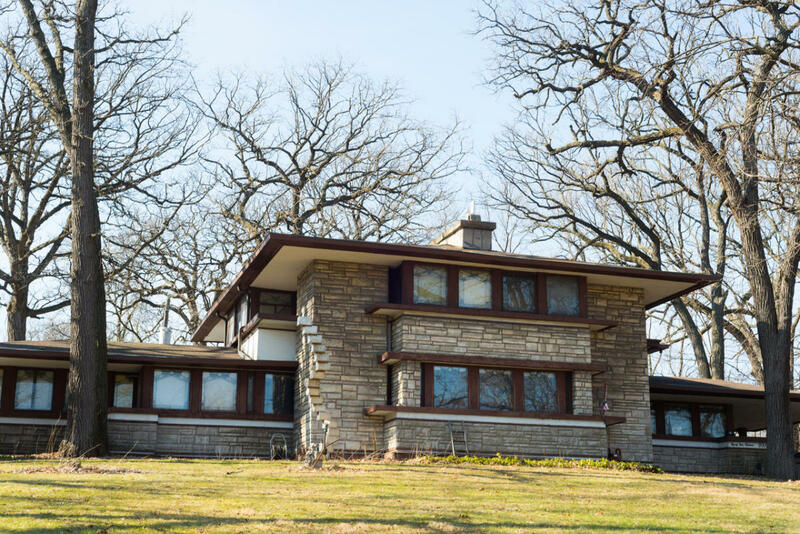 The houses in this district include several different architectural styles, such as Italianate, Prairie School, Queen Anne, and Renaissance Revival, and are the works of noted turn of the century architects, including Frank Lloyd Wright.